Aurora-R4, How to assign a particular boot drive with UEFI boot mode enabled? (Local Disk)C: - (Windows 7) the “original” one that I bought with the computer. (OS)D: - (Windows 10 with all updates) the one I’ve added after the “original” started to show signs of degradation. (STORE)F: - (no OS) the one I use just to store stuff. I’ve had dual boot and everything was hunky-dory until last week the C drive have finally kicked the bucket. First the computer refused to shut down until I forced it. And next morning it took more than TWO hours to boot. When I finally got to the window explorer the C drive was still there but I couldn’t access or do anything to it. In the old times I could just remove it and set boot priorities in BIOS to boot from drive D. But if I actually remove the dead drive now, the computer says that it has nothing to boot from. I don’t see the actual drives in the BIOS (It only shows general source types, like Hard Drive, CD/DVD, etc.) and therefore cannot boot from a particular internal drive. So, what am I supposed to do? Please, HELP! 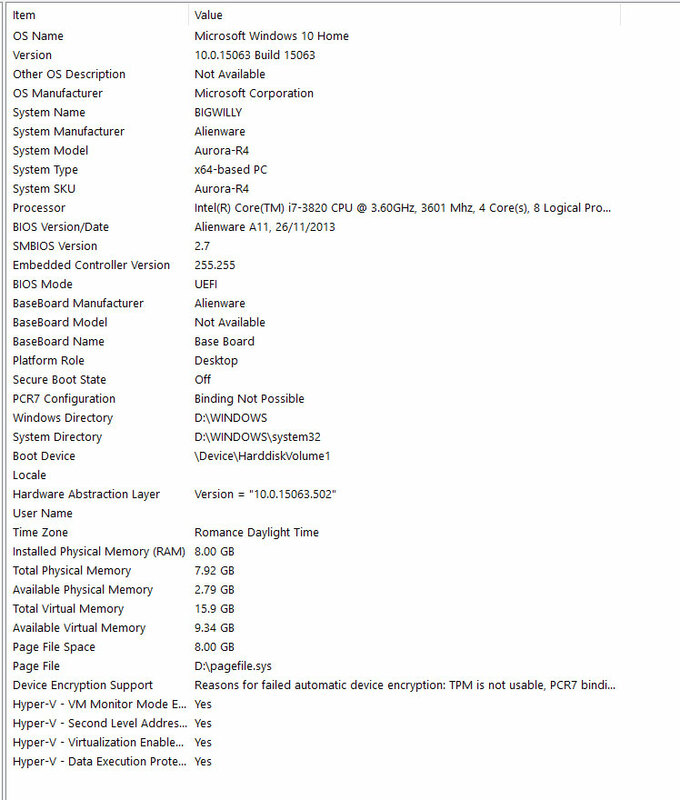 RE: Aurora-R4, How to assign a particular boot drive with UEFI boot mode enabled?